For the bike nut in your life, this bracelet is made from polished stainless steel bicycle spokes each free formed and attached by little bike chain pieces. How adorable! Lots of Bike themed jewelry from this Etsy seller. 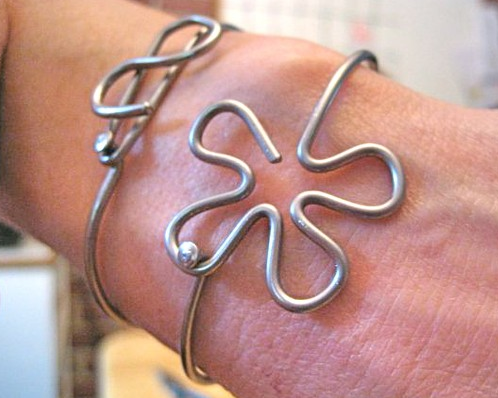 Bracelet made from recycled stainless steel bicycle spoke made to fit your wrist. This will remind you what is like to have the wind blowing through your hair on that downhill ride last weekend while you are working away at the desk job that slowly eats away at your dreams and rusts your soul. No rust or tarnish on this baby! 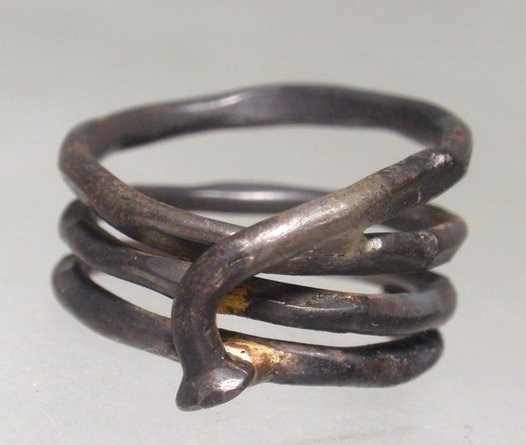 Bike spoke ring the perfect gift to cement a friendship or say goodbye to a bike that has been with you a long time. Keep the memories of all the great places you traveled together fresh in your mind with this ring upon your finger. 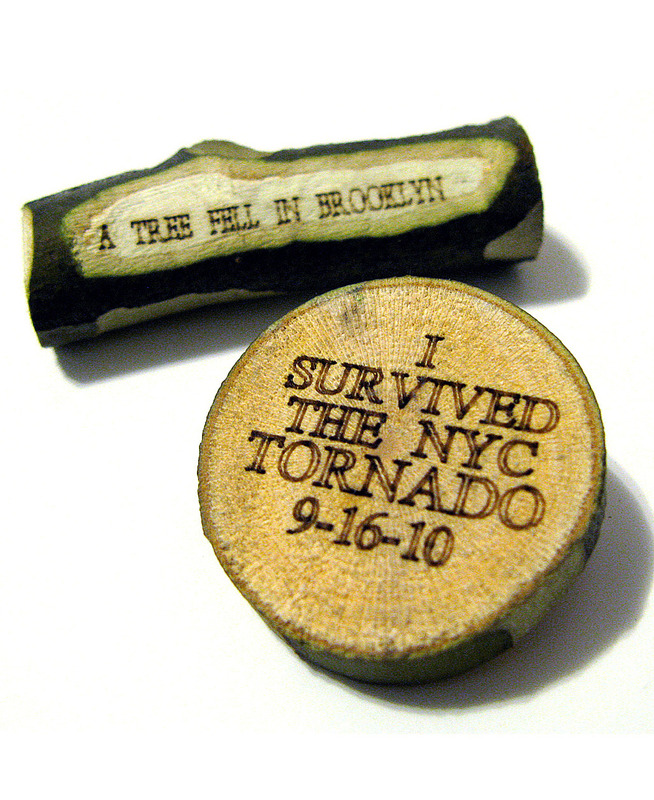 When a tree falls in Brooklyn…..
After a freaky tornado swished through NYC last week, Brooklyn-based design company, WrecordsByMonkey surveyed the damage and got a great idea. Repurposing the fallen camouflage sycamore trees into a limited run of eco-friendly pins. Grad your piece of history! 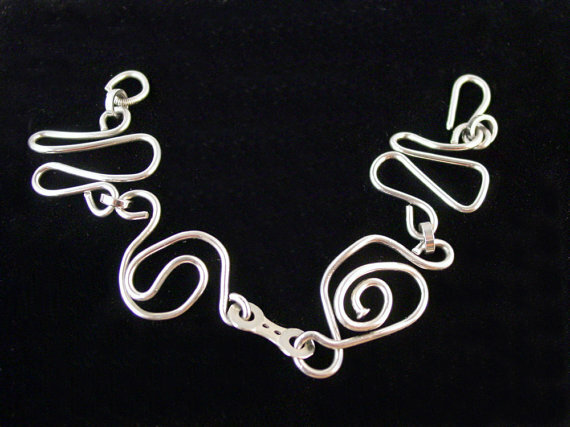 While you are on their site, check out their jewelry made from recycled records. This is such a classic! Perfect for the independent spirit (with a tree-hugger heart) to fit in to the working world. 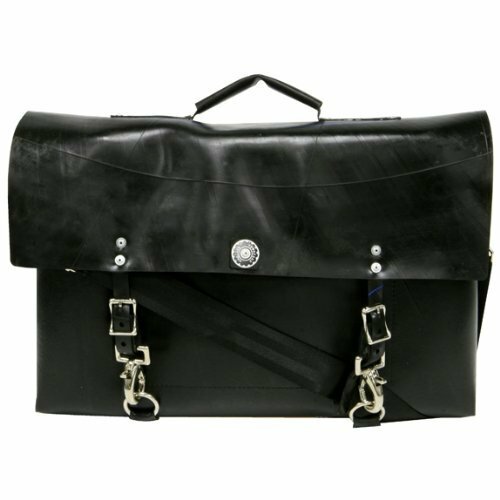 This Recycled Rubber Messenger Bag has such a classic shape, color and look yet on closer inspection, you can see that it is not genuine leather but a recycled truck tire. Since it is made from recycled tires, it works well in all kinds of weather and will hold up to most everything. It will continue to look beautiful for years to come. Cleans easily and quickly. We’re introducing a new advertiser on GreatGreenGoods today …and we are so happy to have them! 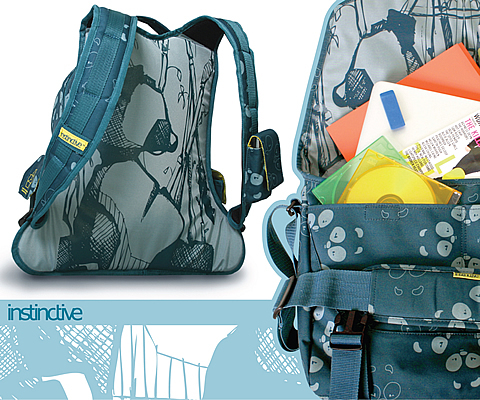 If you looking for a good looking bag that is also eco-friendly, you can’t go wrong with a bag from instinctive. 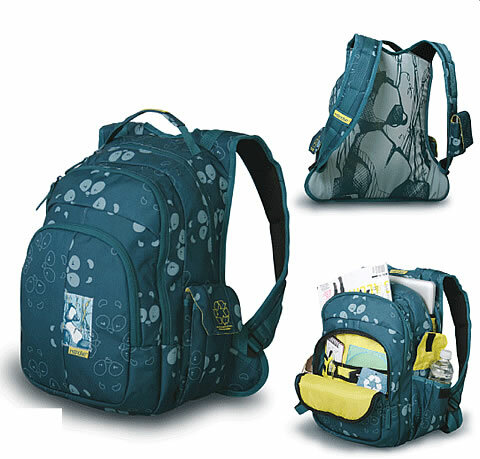 They are made with recycled materials (the main body fabric, the polyester webbing and the plastic buckles are all recycled) and they are manufactured in a Fair Labor Association and Social Accountability International approved factory. 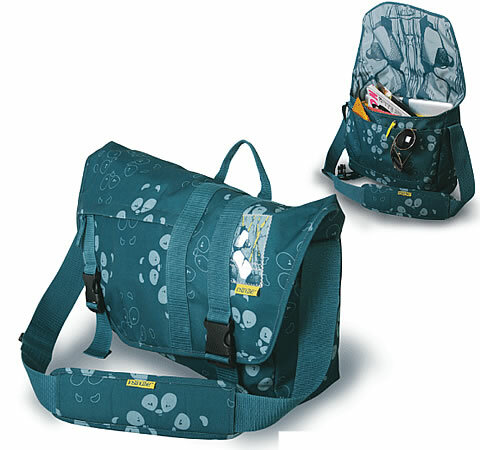 What separates instinctive from the pack is that they have a lifetime “Takeback” policy….which means that if you want a new look, you can return your bag for repair or replacement. There are additional styles available on the Instinctive website and don’t forget … when you purchase one of these bags, 1% is donated to The Wild Foundation.